Heavy Planet : Nuclear Dog's Atomic Split: Hollow Leg - "Abysmal" / Brimstone Coven - "II"
Nuclear Dog's Atomic Split: Hollow Leg - "Abysmal" / Brimstone Coven - "II"
We are in the midst of an exceptional year in which an abundant and bountiful release of great music spanning the stoner/doom/psychedelic and retro/blues rock genres is suddenly available for our spiritual pleasures. Nothing in the universe deeply stirs the soul like great rock music, and this is a time of great spiritual satisfaction. Over the course of the next several days I hope to introduce to you those albums that have managed to potentiate the spiritual metal receptors of my soul in order they may do the same for you. I begin with two albums of disparate sound, made by members of not dissimilar experience, in which both have managed to create exceptional and timeless metal music. 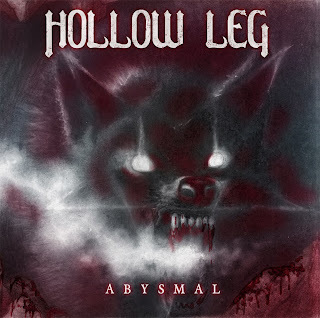 For their earlier release in 2010 of "Instinct" the North Florida band Hollow Leg were the twosome of Brent Lynch on strings and vocals and Tim Creter on drums, but for their new release, "Abysmal", they have expanded their ranks to a foursome adding Tom Crowther on bass and Scott Angelecos on vocals. The result is a massive tapestry of unique and intense metal, weaving together intricate, intelligent threads that form a thoroughly mature sound that likely derives from rock sources old and new, but resounds with a fresh and gifted cacophony of their own creation, establishing a signature sound that becomes instantly recognizable while remaining fresh and exciting, delivering immense metal gratification. The guitars of Crowther, Angelecos, and Lynch are low and massive, pile driving incessantly in a major infusion of metal analgesic. Creter's drumwork is spectacular in anabolic rhythm. Perhaps the crown jewel is Angelecos' vocals, manipiulating a rough and ragged voice that thankfully falls way short of cookie cutter growling and instead is crystal clear in its ragged butcher block intensity. Add to all this the brilliant melodies that underlie the dark and gritty riff-letting and you have a contender for Top Ten of 2013, as well as a lifetime 'go to' album. The title track starts the album off by setting a deep dark metal atmosphere. There is not a step backward on any track down the line from there. All are notable. My favorites are "Ride to Ruin" and "Lord Annihilation". This album is a metal groovefest of the highest caliber, with songs that follow no strict structural formulas for either retro or stoner sensibilities yet manage to incorporate just enough low tuned doominess and psychedelic blues vapor that the music fits nicely on the playlists of the Followers of the Fuzz. 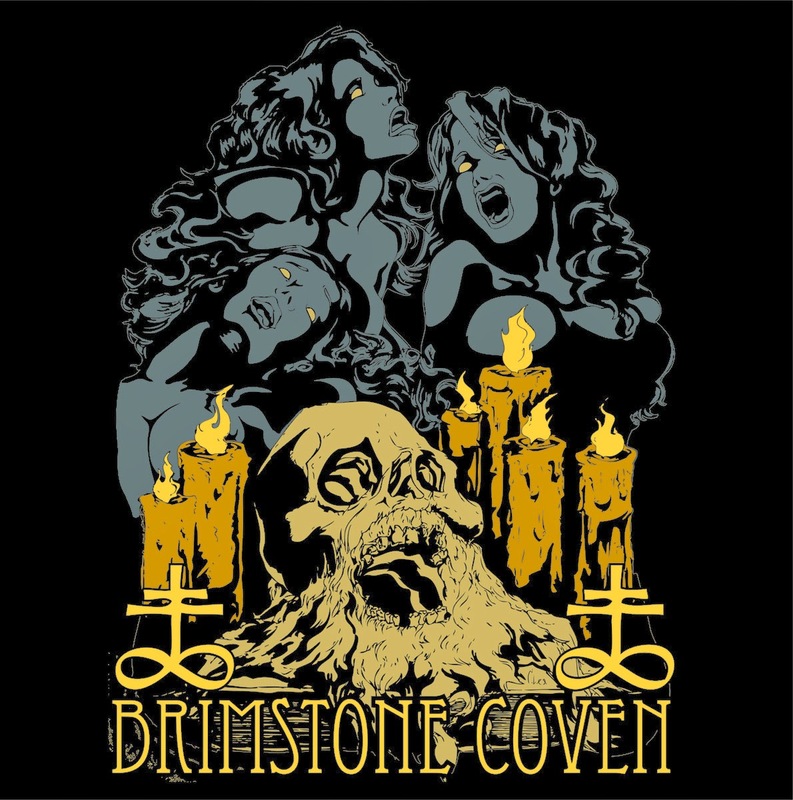 Hailing from Wheeling, West Virginia the foursome of "Big John" Williams on vocals, Corey Roth on guitar, Andrew D'Cagna on bass, and Dan Hercules on drums make up the epic and soon to be timeless rock band Brimstone Coven. They have managed to release two superb albums in the span of eighteen months or so, adeptly carving out a special niche for their clever, soulful, and powerful music. There is no skimping on meaty, beefy bass and guitar work anywhere on the plethora of ten solid tracks as D'Cagna and Roth fire off low tuned and mesmerizing riff volleys in steady portion throughout the album, often overlaid by searing, scorching solo conjurings from Roth that permeate straight to the essence of the listener's fuzzy soul. 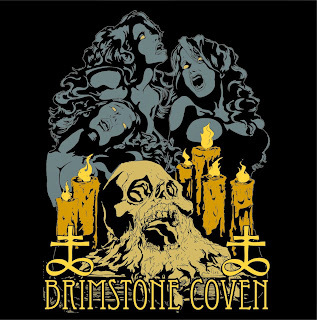 When taking Williams' spellbinding vocal tapestries into account the bewitching nature of Brimstone Coven's music is in full effect. The trick with modern metal of any genre is typically going to be how to manage the use of derivations from six decades of essential heaviness and still be able to form your own unique sound. Only the clever and gifted stand a chance of creating anything of significance over and above masterful execution of instrumentation. Brimstone Coven are proving to be artists of keenness, insight, and imagination. What they have put on offer with "II" is a haunting, rollicking display of deep, profound, and acutely riveting metal amalgamations. My favorite track is "The Black Door", an entirely unique sound that casts a woolly and inescapable spell. "The Grave" brings forth dark spirits of bloody sabbaths past in a witches brew of heavy broth and searing solo chunks. The closer is mighty and fierce in musical breadth, once again conjuring spellbinding incantations of stygian riffs, deep, dark, relentless drumwork, and mesmerizing harmonies of ethereal vocals.